Despite Hardware Restorations popularity, industrial lighting is not just a question of looks and aesthetics. Various industries have extensive lighting needs and the LED light is ideally suited for these needs perhaps above other lighting needs. Industrial lighting runs long hours (driving up electric use and cost) and requires very bright lighting to properly light the workspace. This lighting also tends to be high above which conveys many advantages to LED lights. Let's take a look at the benefits of LED lights for industrial uses. First, we'll start with the cost to power a given industrial space with lighting. Industrial lighting is different from most office lighting in that fluorescents are not as heavily relied upon since they do not generate enough bright light. It's not uncommon to have very high powered incandescent lights in an industrial space. The wattage for these lights can be 500 to 1000 watts per light and they're typically place high above the workspace depending on the industry. This is a perfect set-up for LED lights. The best value proposition for LED lighting is against these high powered, high wattage incandescent lights (whether halogen, sodium halide, etc). We can usually take a 1000 watt light down to about 120 watts. Think about the cost difference even at 10 cents per KWH in an industrial space where lights are probably running a minimum of 10 hours (sometimes 24/7) if we're dropping the wattage down from 1000 to 120. That alone is a reason for any industrial space to switch over. 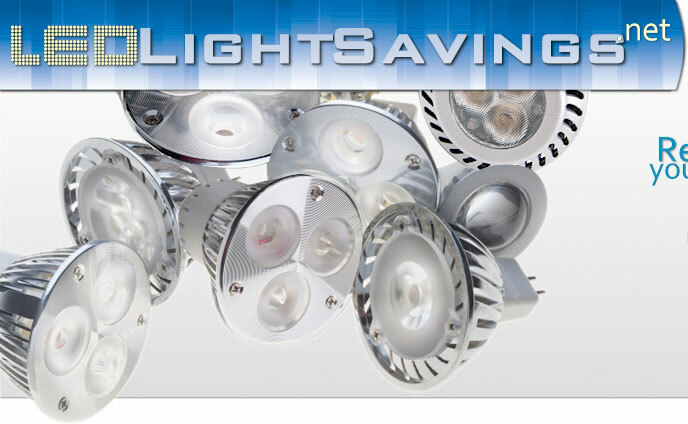 This is only the beginning of the savings with LED industrial lighting. The lifespan of our LED lights typically run 50,000 hours compared to 2000-5000 hours for most common industrial lighting (incandescent or fluorescent). That means less labor to switch these out and the reduced bulb replacement costs offsets the higher cost of LED bulbs up front. Industrial spaces tend be more complicated in terms of accessing lighting fixtures for replacement as well. Industrial LED lighting even works against fluorescent lighting but the savings are not as significant. Where an LED light might reduce the cost (over 5 year window) by 90%+ versus incandescents, the savings might be closer to 30-50% versus fluorescents. Of course, the best approach is to request your LED light quote for specific savings that you can expect. There's one more important wrinkle that many industrial site managers are planning for now. The T12 fluorescent, the most common fluorescent bulb that's ubiquitous in industrial lighting set-ups is being phased out Jan 1st, 2012 with the ballast already unavailable. The good news is that we do not need to replace or remove the existing fixture and/or ballast to retro-fit with LED industrial lights. We just bypass the ballast and keep the existing structure to minimize cost, down-time, and inconvenience. Let's get to the best part of installing LED industrial lighting. The government rebates. Industry drives the U.S. economy as we would expect, the greatest rebates for LED retro-fitting goes to LED industrial lighting installations. We can help you with this but it's not uncommon to have rebates per LED bulb, per wattage saved, and even per square foot. If you add it up, the initial higher cost of the actual LED bulb can be mitigated leaving you the ongoing savings associated with energy, replacement, and labor savings. Let us run a quote for your situation and we'll show you specifically how LED industrial lighting can save you money. Now is the opportune time since your existing bulbs are most likely being phased out anyway and the next replacement will make LED's the best option if not the only option.